After I went back from Kosode Coast and rest on Nounen Chair in Kuji Station. After I came back from Kosode Coast, I had a small break on Nounen Chair in Santetsu Kuji Station. 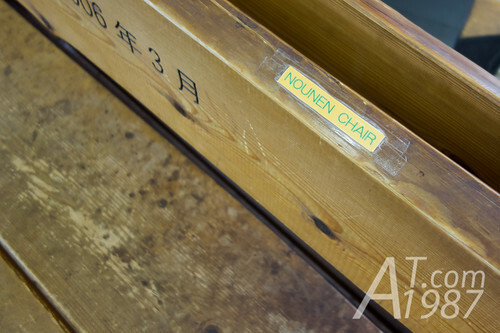 I don’t know why the seat is named after Amachan heroine actress Nounen Rena. Then I rode the bicycle using the route gave by the travel information center staff. It’s about 6 km long and takes about an hour on bicycle. 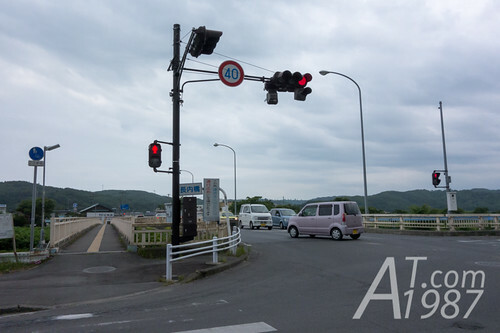 I began riding from the station, passed Moka and stopped at the intersection of road 281. 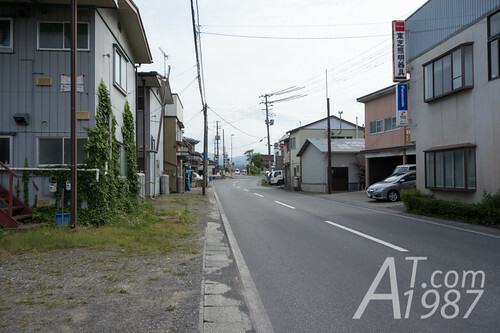 Then I rode to road no.7 where there are less building than the station area. There aren’t many large buildings on this road other than people’s houses and their farms. One of them is Allen Memorial Church. 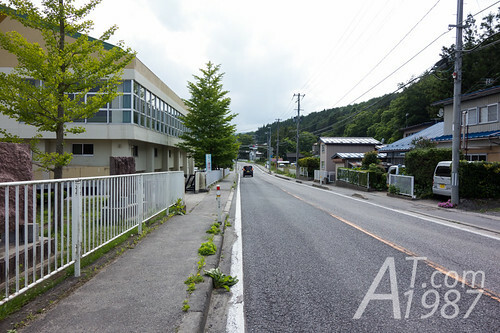 Another one I found is an elementary school. 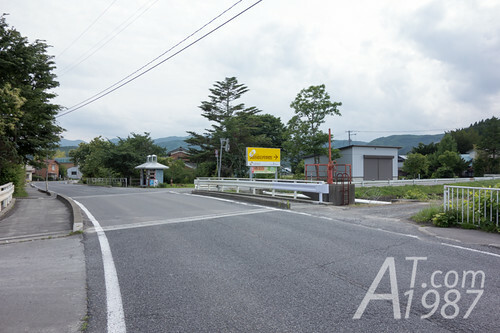 I rode on road 7 until I found a small bridge with the sign tells to way to the museum. This mean I was on the right route. 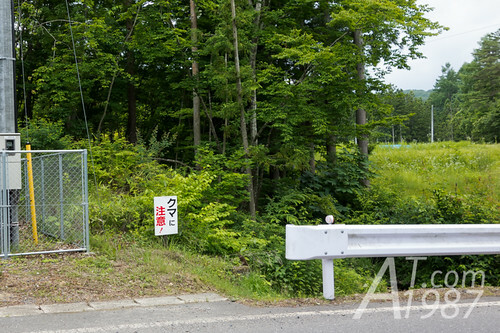 The road leaded me into the forest where houses and farm were now rarely to be seen. 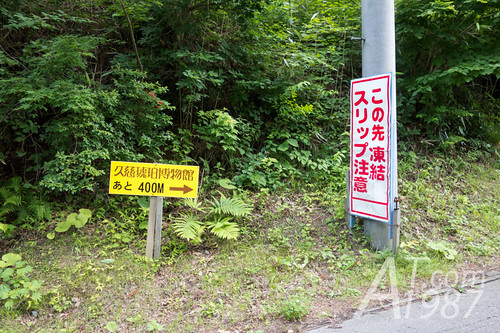 But there are the direction signs beside the road. So it’s hard to lose the way. Since we are in the forest. Be careful for bears. 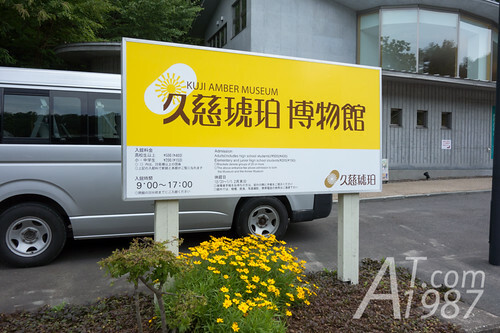 Before reaching the museum building. 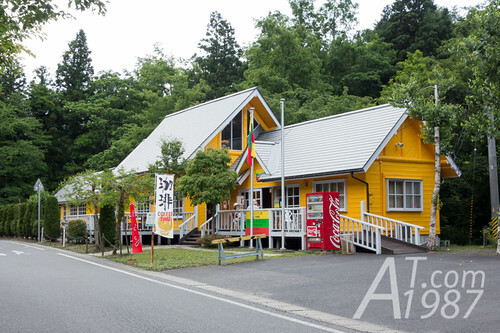 You will see Kintaro Lituania Wing that sells goods made from amber and Lithuanian pottery. It serves famous Lithuanian wine and hot dog too. The reason why Lithuanian goods are sold in Kuji is Kuji city and Klaipėda city in Lithuanian are sister cities for more than 20 years. Finally I was in front of the museum where I planed to see inside. 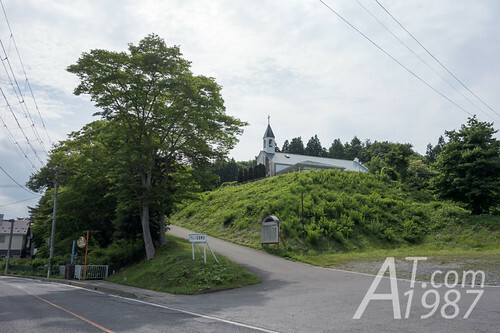 However after I checked the schedule and bicycle battery, I decided to return to the town. When I went back to the station area. I rode to shopping street Juu-dan-dori Shoten Machi where is Amachan’s shopping street is based on, to visit my final destination in Kuji. 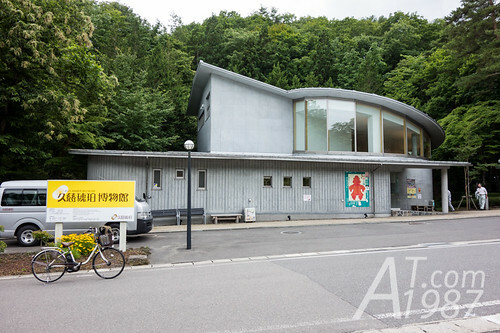 Next time I will continue to write about Amachan location again. Please look forward to it.